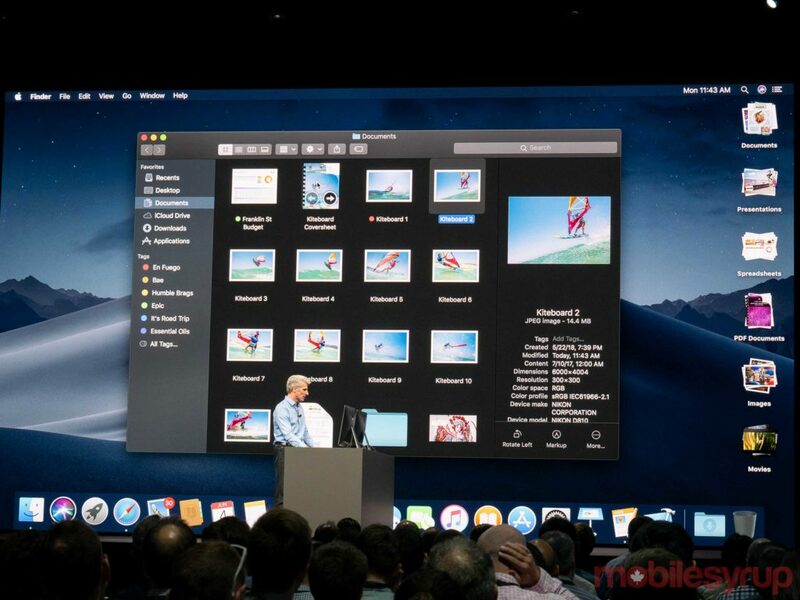 Cupertino computing giant Apple has announced the latest version of its macOS desktop platform: macOS Mojave. The latest version of macOS features a number of improvements over its predecessor, including a dark mode that completely changes the operating system to suit a darker theme. Not only are default macOS apps — like Photos and Calendar — changed by the darker theme, but so are third-party app windows — like Google Chrome. Desktop Stacks arrange content on the desktop into manipulatable stacks. Users can arrange their stacks by file type, date modified or tags. The revised Finder app also provides users with a new ‘Gallery’ view and an improved sidebar that provides users with complete information on metadata. The Finder app also provides users with ‘Quick Actions,’ that allow the manipulation of documents right within Finder — rather than needing to open up a separate app. Users can even create custom automated actions such as adding a watermark to documents and photos. A new screenshot process allows users to access the Markup annotation tool directly within a screen shot. Users will also be able to screen shot videos to create GIFs. 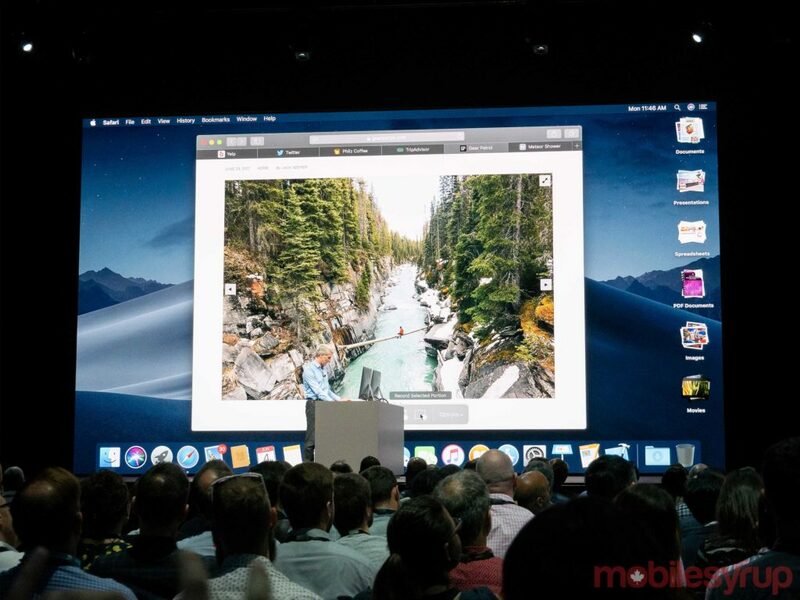 Certain apps will allow users to use the ‘Continuity Camera’ feature, which not only gives users the option of taking photos using their iOS devices and manipulate those photos on their macOS device, but Continuity Camera also allows for improved text capture. 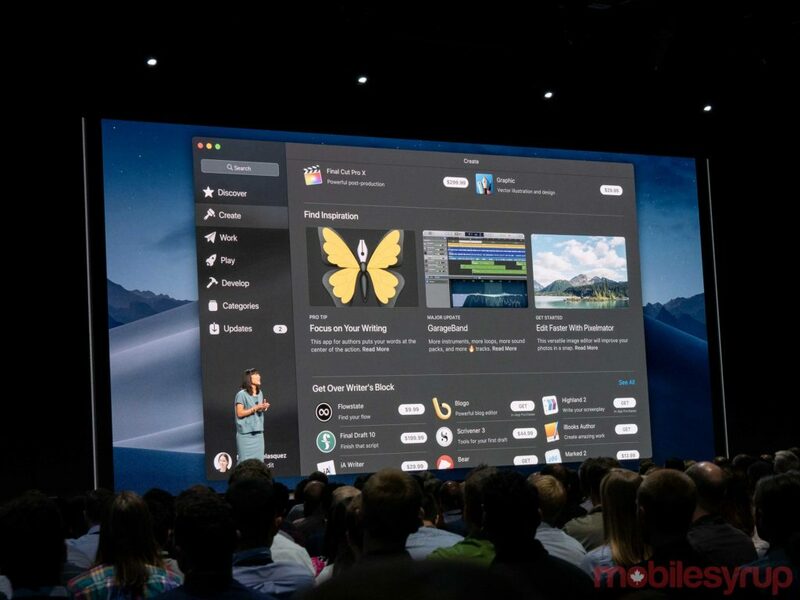 Apple’s manager of App Store product management Ann Thai used the macOS presentation to announce a completely revised Mac App Store. The new App Store not only makes it easier for users to find new and noteworthy apps, it also improves the commenting and user navigation experience. For instance, the Mac App Store’s product pages now offer video previews, as well as tips and tricks for apps you’ve already installed. Microsoft will be bringing Office 365 to the Mac App Store, while Adobe will be bringing Lightroom CC to the store as well. 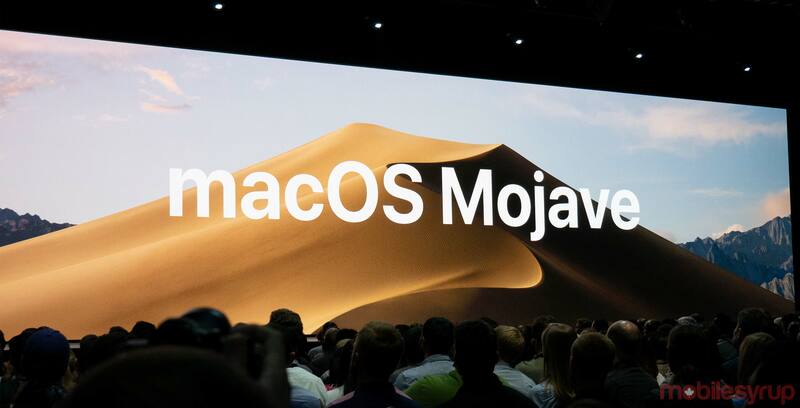 Apple’s senior vice president of software engineering — and resident Superman — Craig Federighi announced that macOS Mojave would provide users with improved protections. Federighi said that Voice Memos will be coming to macOS. Users will be able to record voice memos and manipulate them within apps like Garage Band. Safari will allow users to customize the ways in which ads track user data across multiple websites. 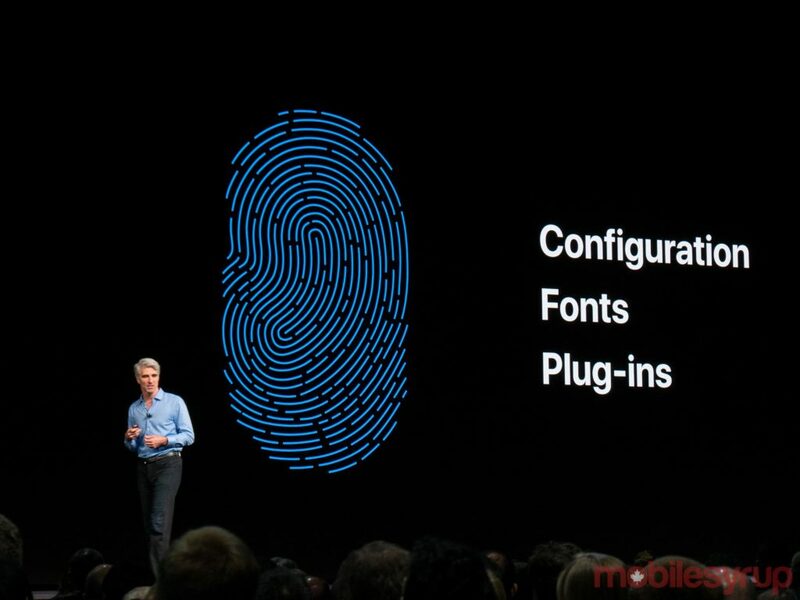 Mojave will also provide websites with a “simplified system configuration” that will prevent sites from accessing complex information, like fonts and computer specs. This will reportedly make it more difficult for websites to track users.